I spend a lot of time on eBay, throwing away my hard-earned cash on irresistible deals. 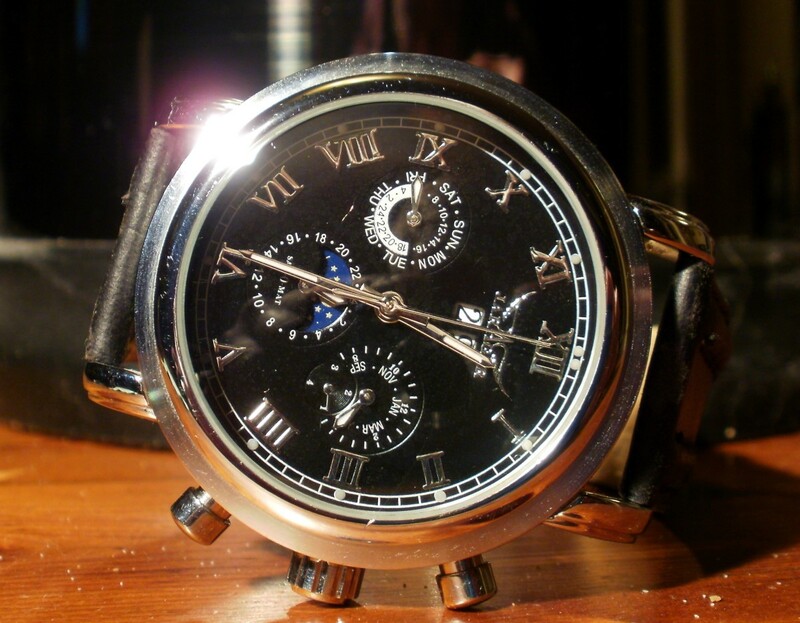 One day, I came across an unbranded Parnis watch fitted with a hand-wound mechanical movement. Why unbranded? Was Parnis so ashamed of this particular style that they refused to put their name to it? Maybe so, but I liked the timepiece. I put in a bid and, three days later, I was the proud owner of my first Seagull equipped mechanical watch. This Parnis pilot watch is quite large, spanning 45.5 millimeters, but weighs only 75 grams (2.66 ounces). It is 11 millimeters thick. The case is composed of brushed 316L stainless-steel. A large onion-shaped crown juts from the watch’s right edge and what appears to be a sliding switch is fitted to the opposite side. A device such as this could be used to apply pressure to the movement, holding it firmly in place. Then, to allow easy removal of the movement for cleaning, pressure could be removed by sliding the switch. It’s a moot point, however, because this mechanism is strictly decorative. This timepiece features a black dial with white indicators and hands. It includes a subdial to keep track of passing seconds. All hands and indicators are coated with a white material that emits a bluish glow in darkness. Except for a narrow stainless-steel rim, held in place by screws, the entire caseback is composed of hardened mineral glass. This allows a completely unobstructed view of the timepiece’s Seagull 6497 mechanical movement. This pilot watch is equipped with a thick brown leather strap with white stitching and a brushed stainless steel buckle. 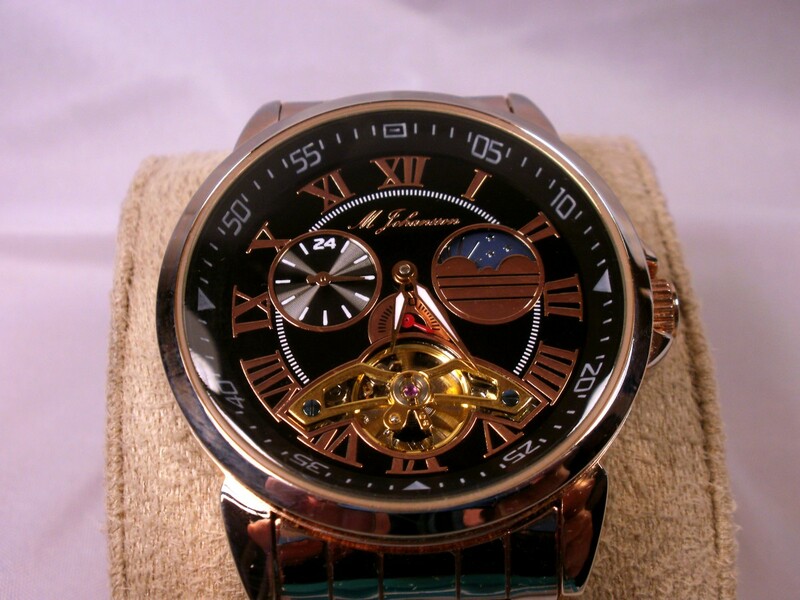 Parnis is a small Chinese watch company, trademarked by Xiao Jiam Hong of Guangzhou. Parnis designs their own timepieces and assembles them at their manufacturing facility at Tong De Wei, Guangzhou. The various components are contracted out from companies such as Seagull, Miyota, and Dixmount. Fu Yuan Xin manufactures their cases. 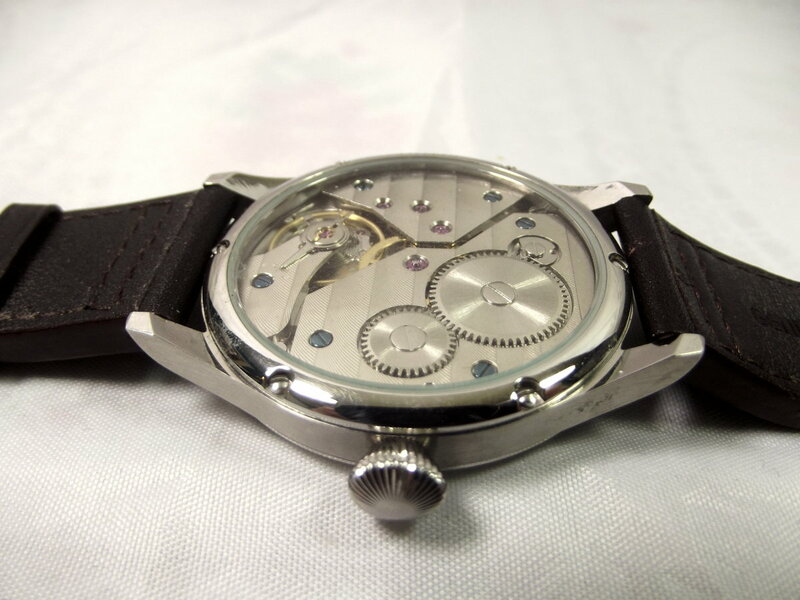 Parnis produces both mechanical and quartz-driven watches. 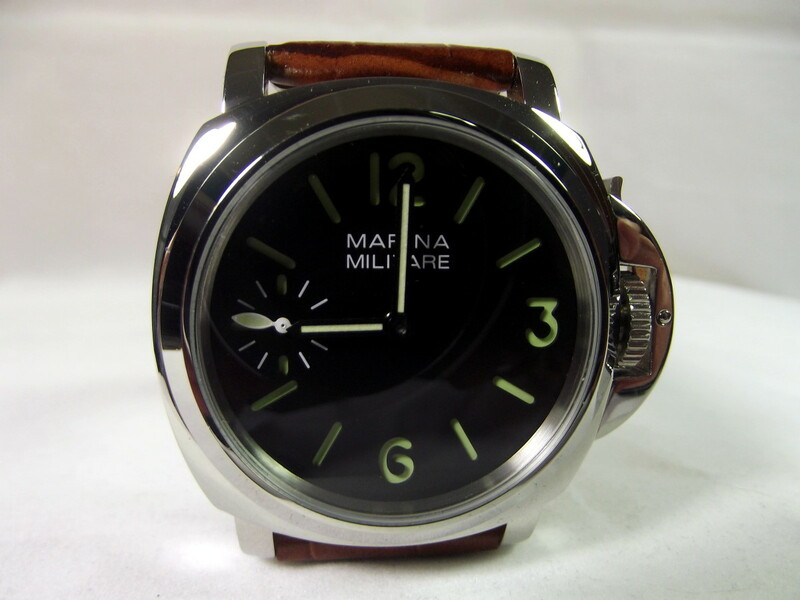 Some of these timepieces, such as the Marina Militare, are intended to closely resemble their Swiss competitors’ more expensive luxury watches. Other designs are fresh and original. Parnis has acquired a good reputation due to their use of superior components and respectable quality control. The manufacturer took pains to provide a timepiece that was simple to operate and, even for those with less than ideal eyesight, easy to read. This watch is equipped with an attractive and very large onion-shaped crown. I quite like the bluish glow of its luminous paint. Sadly, however, the effect does not last as long as I would like. A well-engraved mechanical movement is framed by a narrow rim of stainless-steel, supporting the largest viewing window that I have ever come across. The attached strap is composed of dark brown leather. With its brushed stainless-steel buckle, this strap well complements the watch’s case. I tested my new Parnis pilot watch for five days. During this time, the watch gained an average of 2.7 seconds per day. This score is quite impressive. Reserve power is a respectable 58.5 hours. 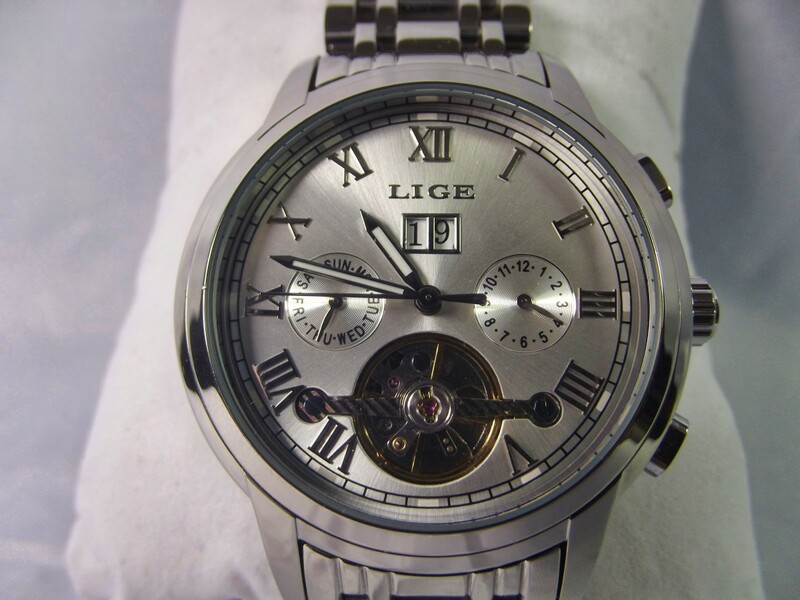 The mainspring of a mechanical watch provides power to a set of gears. This power is transferred to the timepiece’s escapement, which turns its balance wheel. The balance wheel is a weighted wheel that rotates back and forth, being returned toward its center position by a spiral torsion spring. Each time it rotates—and the balance wheel rotates many times a second—the mechanism that advances the watch’s hands is allowed to move forward. If the spiral torsion spring is shortened, the balance wheel will not travel as far and, therefore, completes more rotations every second. In this case, the watch will run faster. The 6497 movement is equipped with a small lever, mounted above the balance wheel, which is used to increase or decrease the length of the torsion spring. If your watch is inaccurate, an adjustment of this lever will alleviate the problem. Please note that a small alteration can make a big difference. 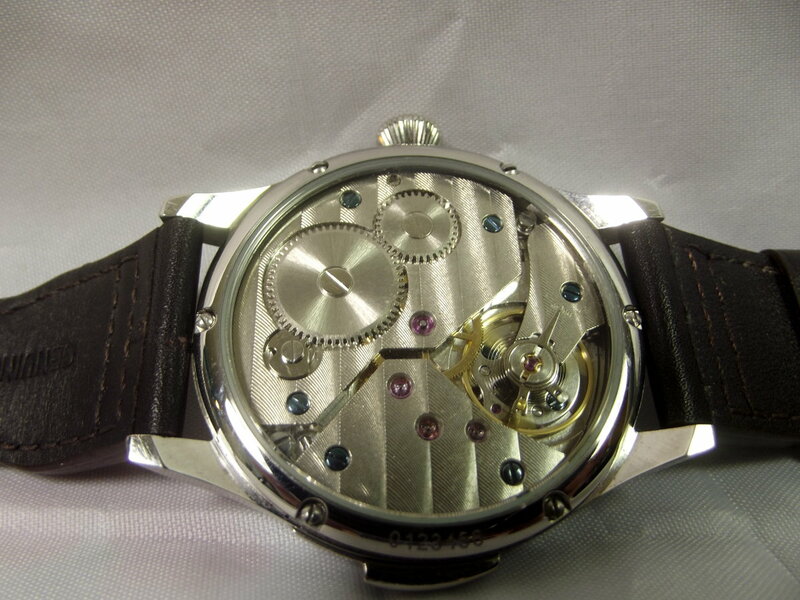 This Parnis’s movement is securely enclosed within a stainless-steel case composed of grade 316L stainless steel. A large, onion-shaped crown was selected for use on this timepiece. It provides an excellent grip which the wearer will appreciate when he sets and winds his watch. The included Seagull mechanical movement is a first-rate version of the ETA 6497 pocket watch movement and should last for many years. 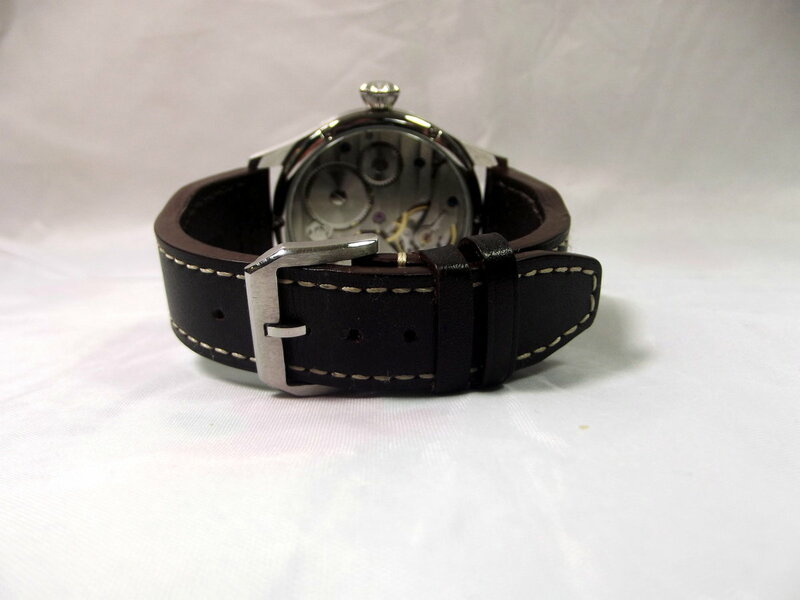 Parnis equipped this watch with a decent leather strap. Water resistance, the timepiece’s weakest characteristic, is rated 3ATM. If you are searching for a quality mechanical watch at a decent price, this unbranded Parnis is worthy of serious consideration. However, it is an oddity and examples are very difficult to locate. 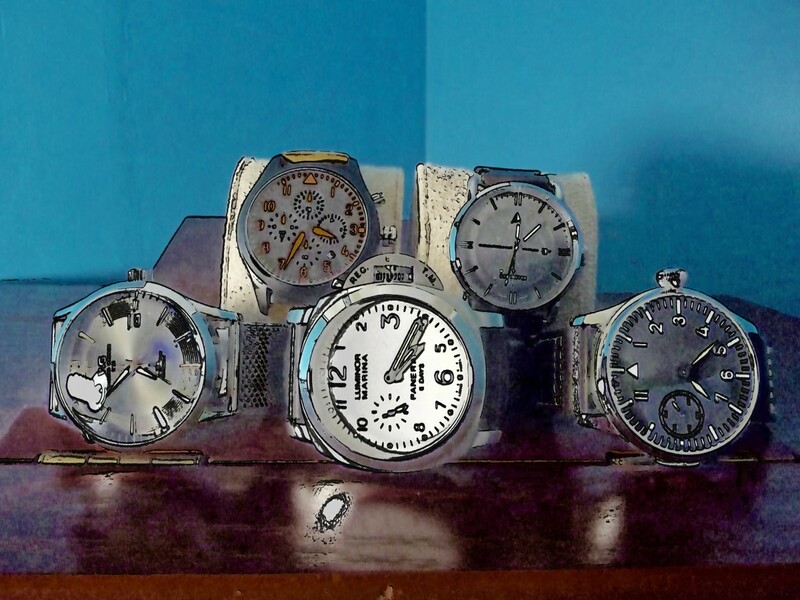 Several similar timepieces are available on Amazon, although none of these feature a decorative sliding switch. 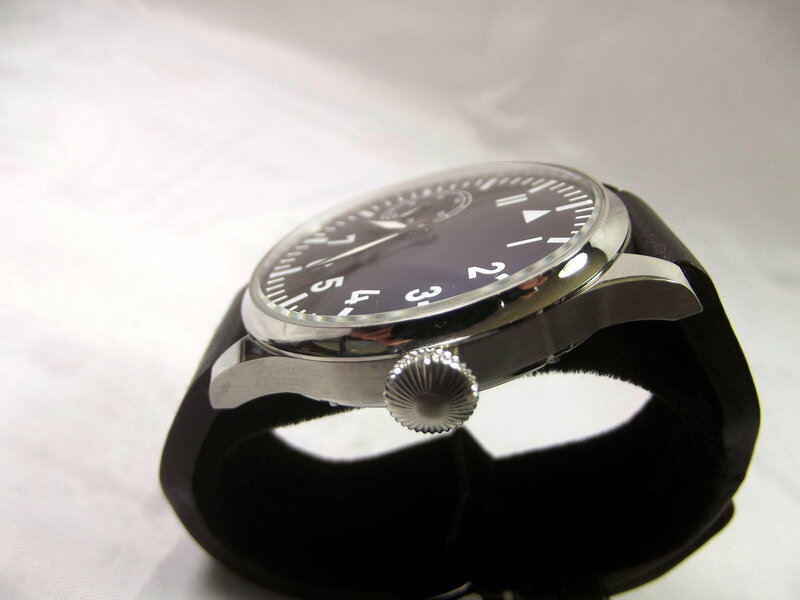 Pilot watches, originally developed for aviators during WW2, have become very popular. 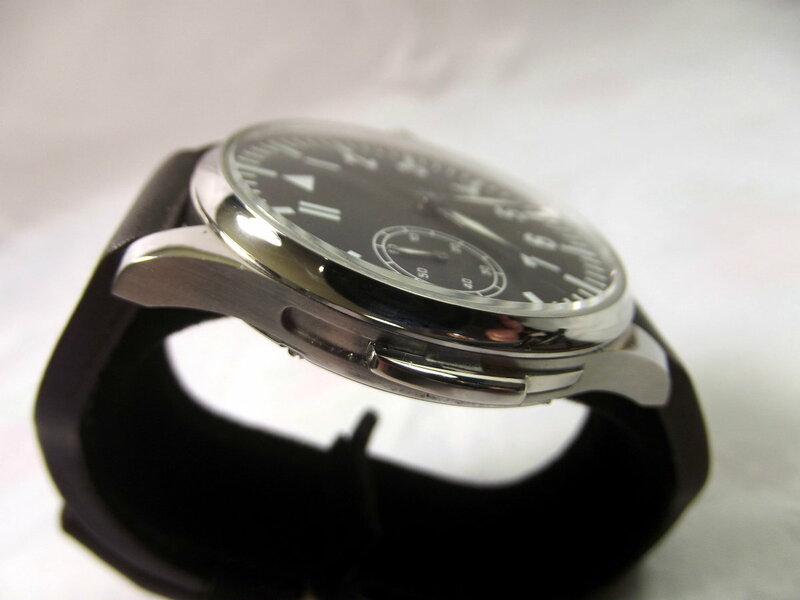 While there are many variations, pilot watches are always large, easy to read, and equipped with oversized crowns. In the following poll, I am attempting to determine the average man’s interest in acquiring a pilot watch. 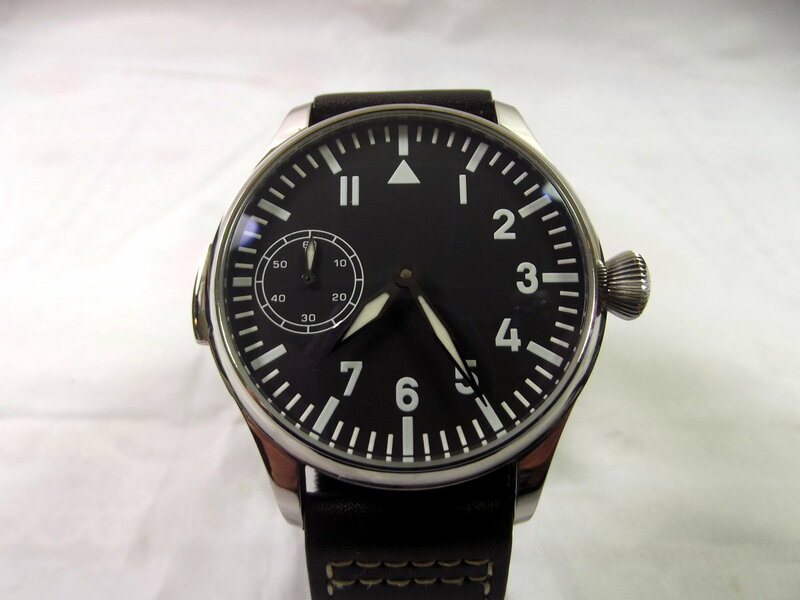 Pilot watches are large and easy to read. Is this a style you are likely to purchase? Yes. This is exactly what I want. I'm interested but there are other styles I prefer. Not to my taste at all. I would avoid. I may have told you that I bought this watch, however my model had the second hand sub dial at the 6 position, plus it had the very long adjustment arm. Mine, also keeps very accurate time. I have only set the time one time, when first received, and after several weeks of wearing, it still has completely accurate time. This Seagull movement is amazing at the accuracy for a mechanical watch. Another great review my friend, and keep them coming! It was great to read your review of the Parnis Pilot. I also recently bought one, however my model has the sub dial at the 6 position. Other than location of the sub dial, the adjustment arm (swan neck) on my model is extremely long, compared to the model in your review. I have been wearing mine for over a week now, and so far it seems to be accurate to the second. If it is off any at all, it is so slight that I am unable to tell. I have not yet needed to re set the time. 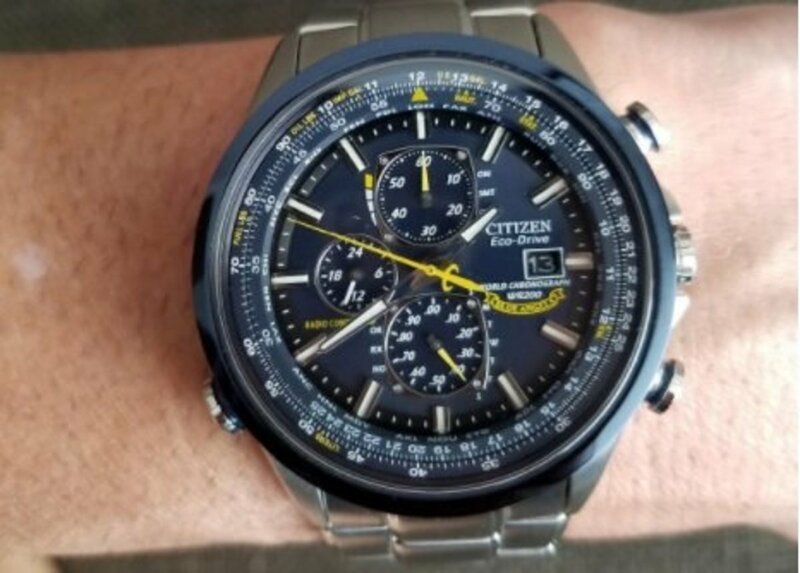 My cousin also purchased this watch at the same time I did, however with the 9 position like your review. It too, keeps accurate time and has not had the need for re setting the time. I find that the lume will last for a few hours, however gets weaker as time passes. 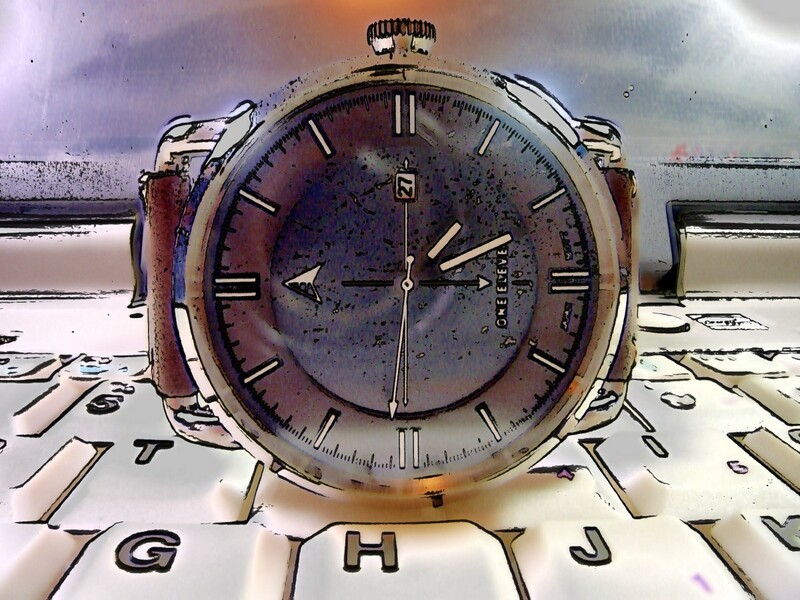 Overall, I am more than satisfied with these watches, especially the accuracy, for the price. My model also came with a black leather band, instead of brown, which I preferred. The quality of these bands are very good. Another great review from you my friend, keep up the good work!! 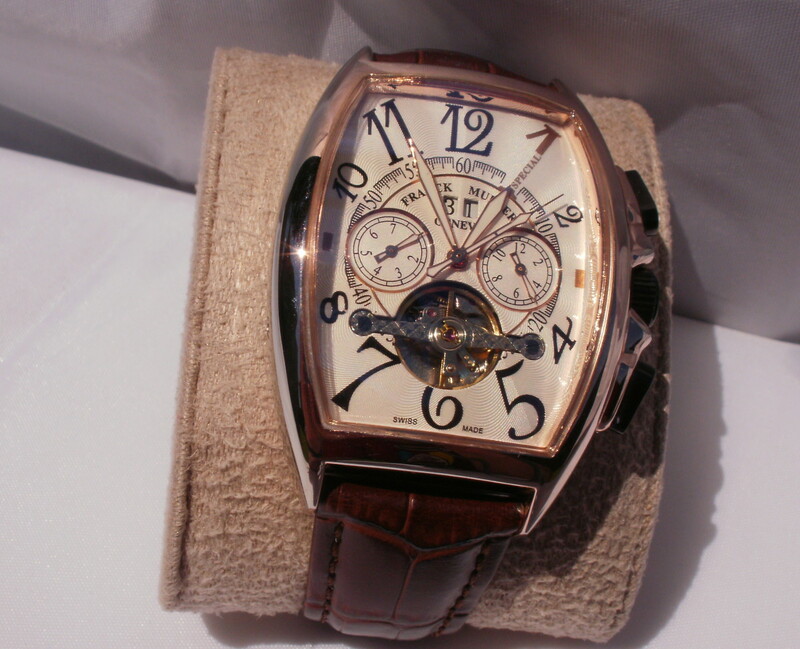 Also, if you get time, you may want to check out "HMT" watches. If you want, send me an email and i'll tell you more about them.